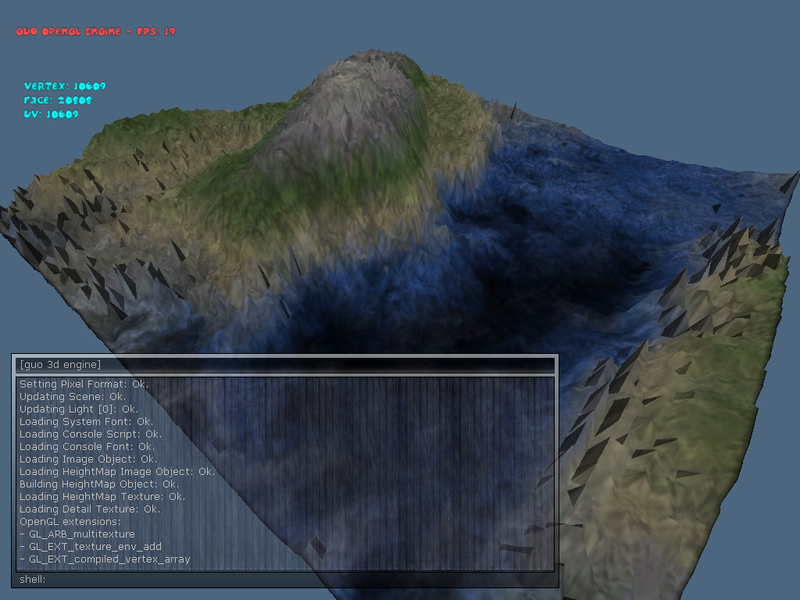 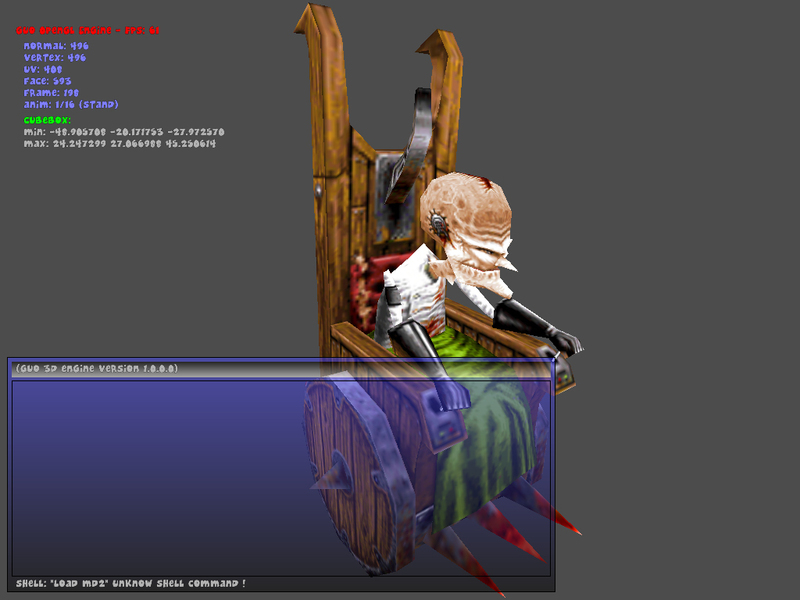 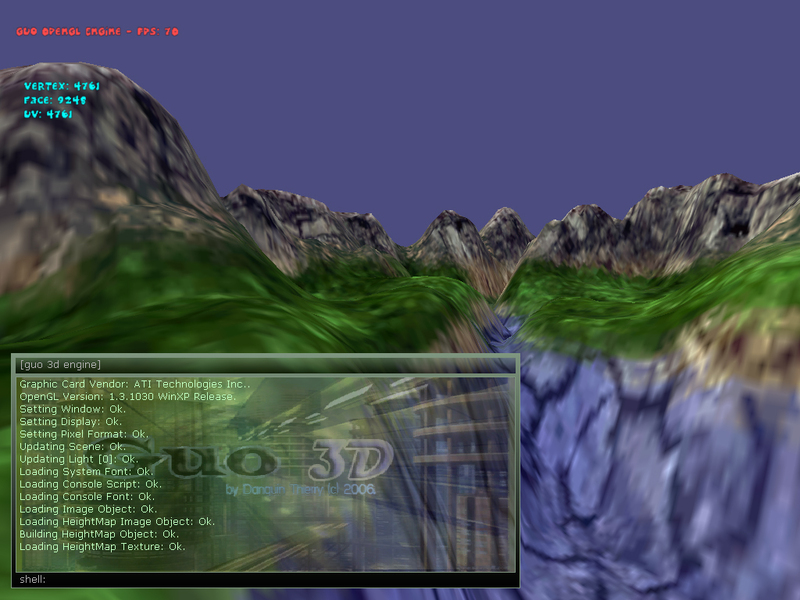 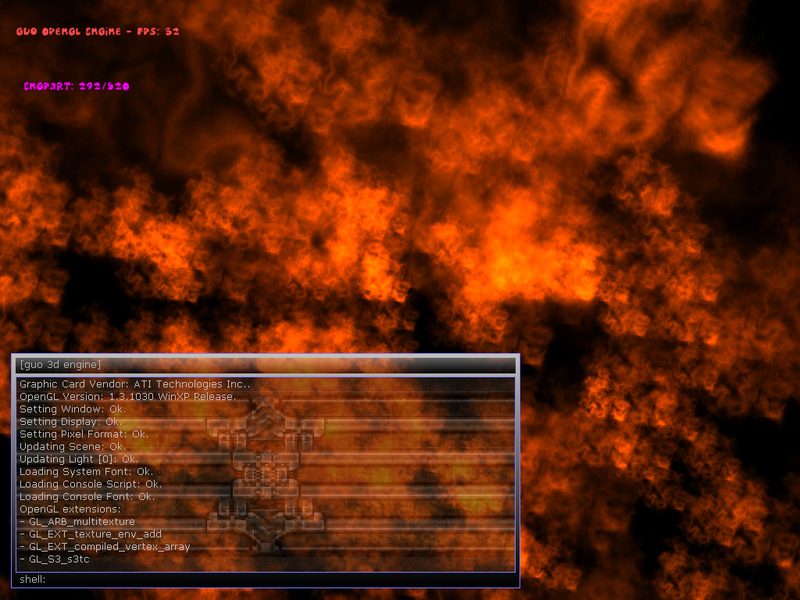 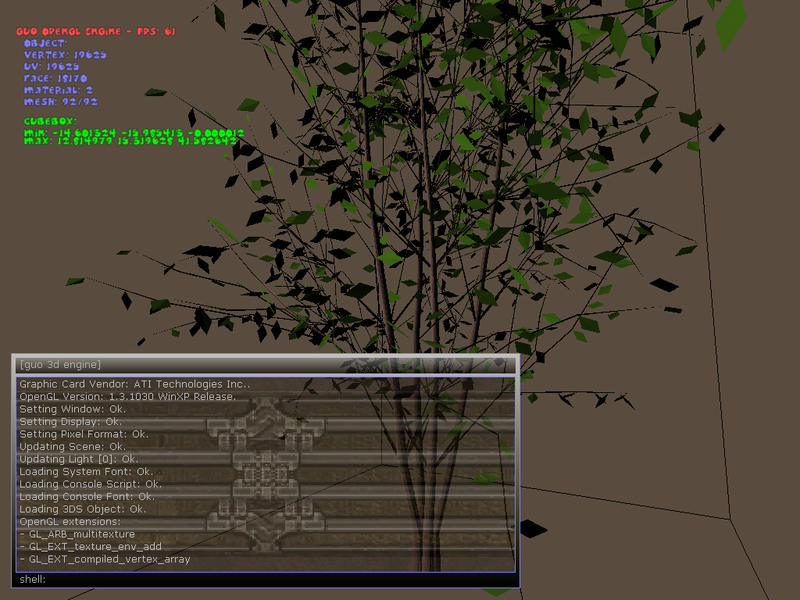 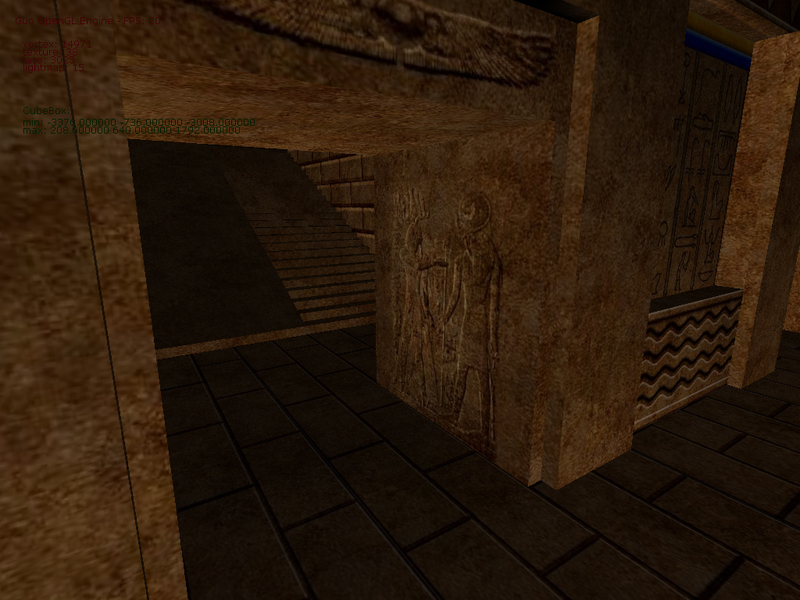 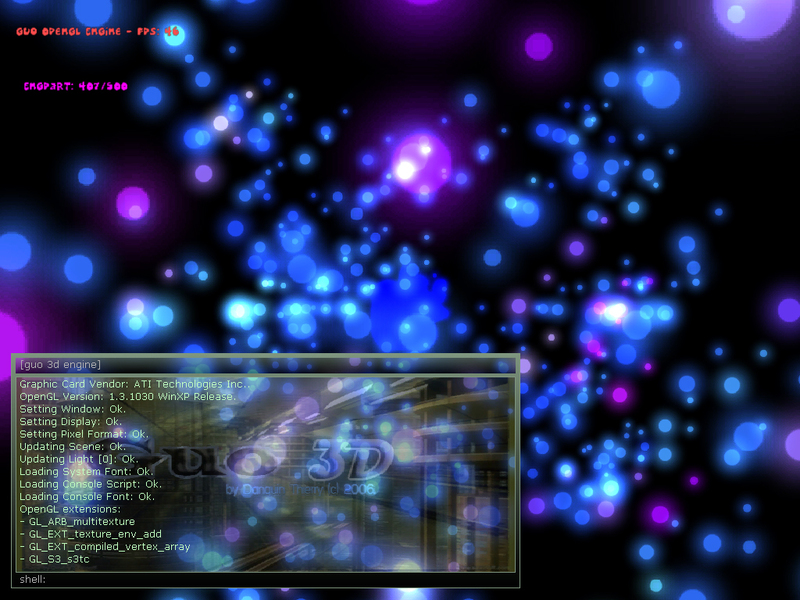 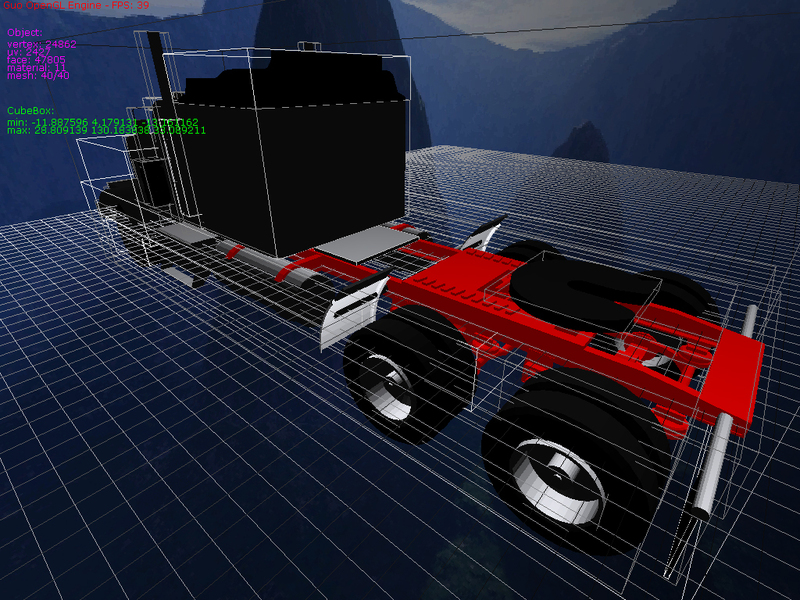 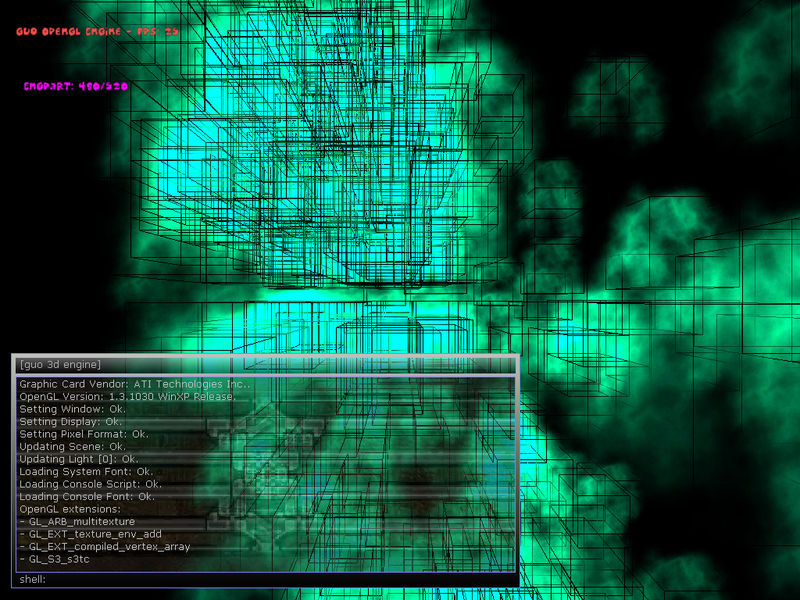 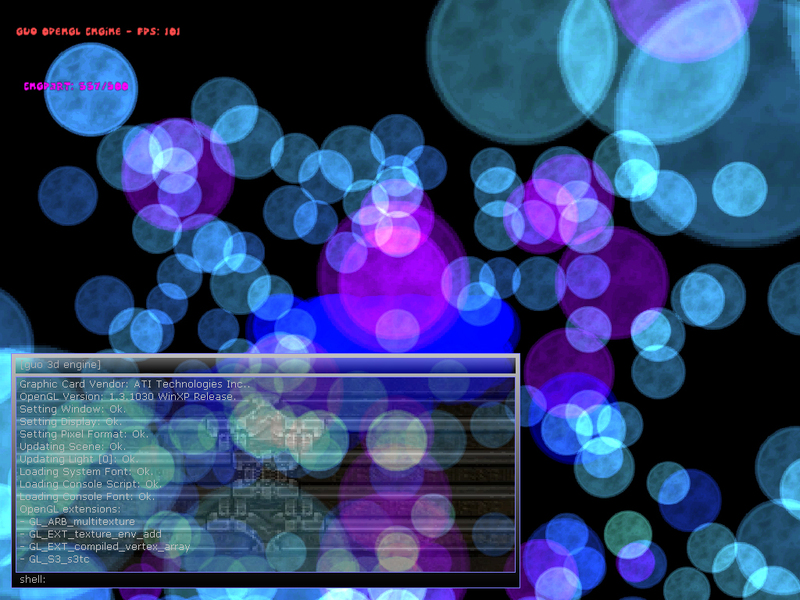 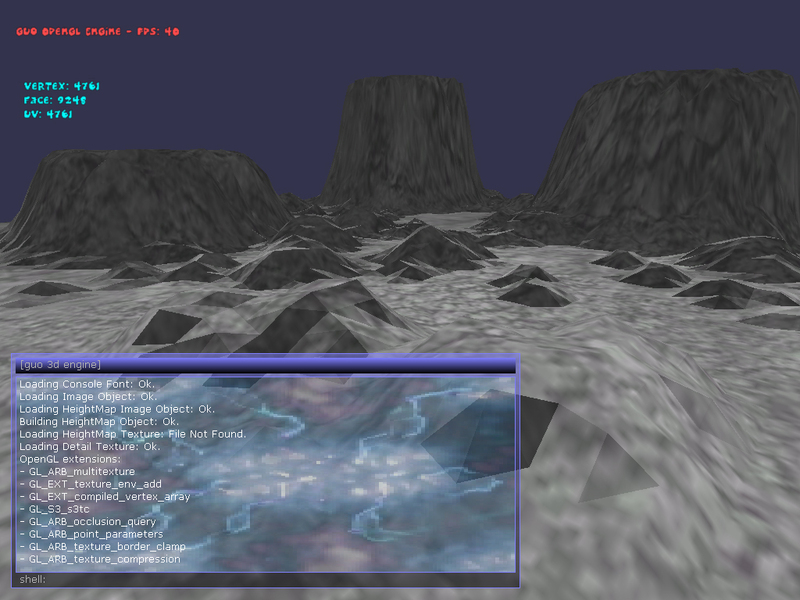 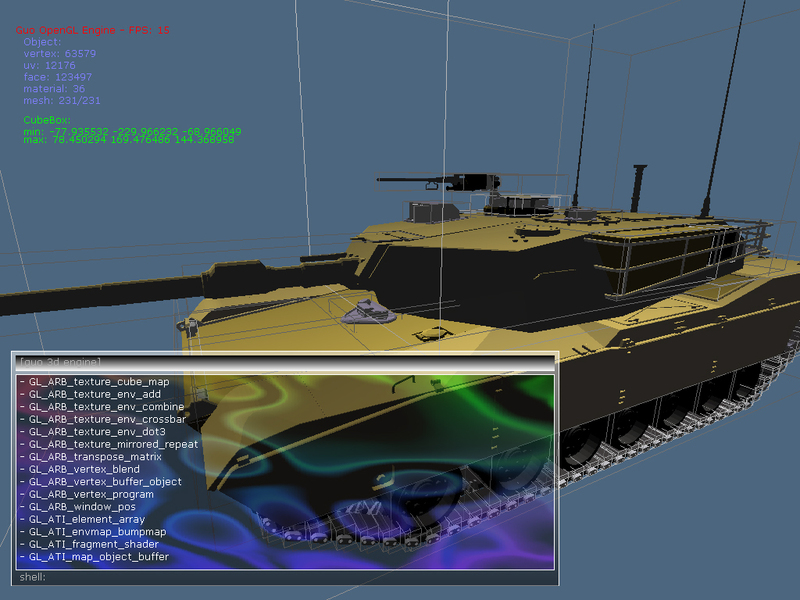 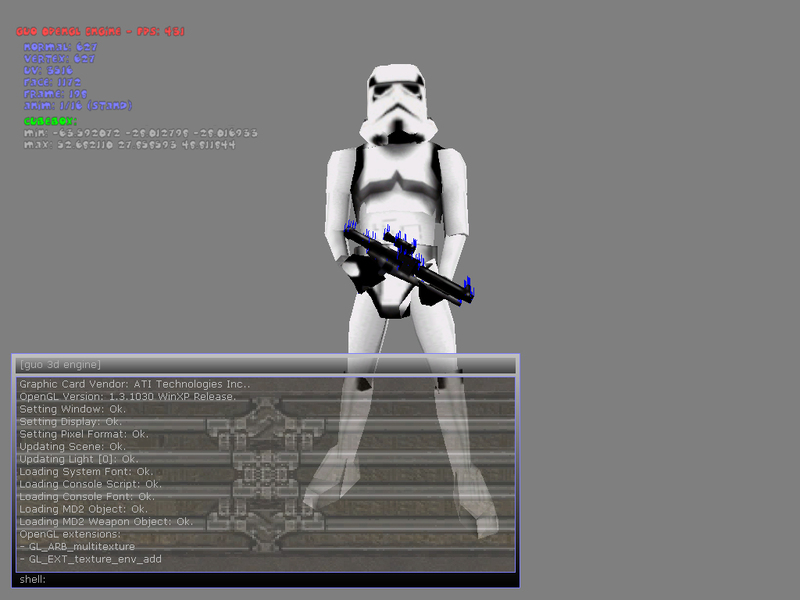 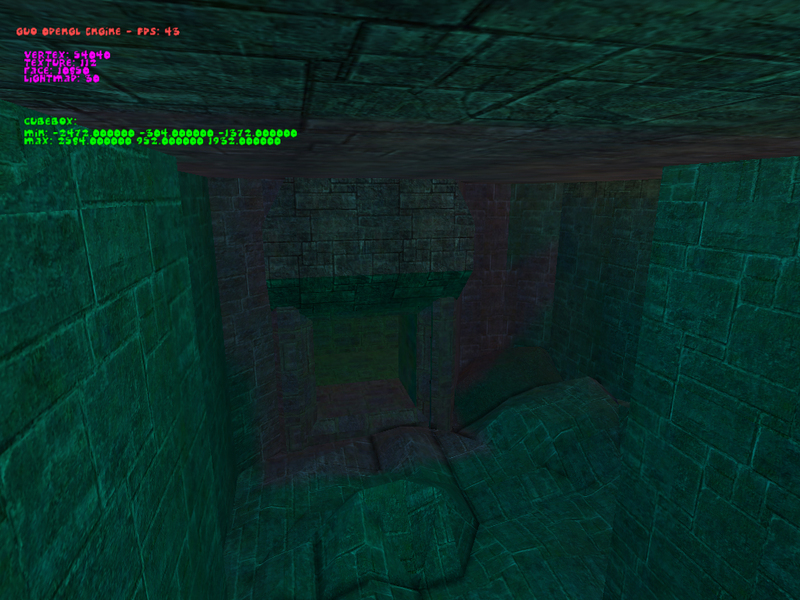 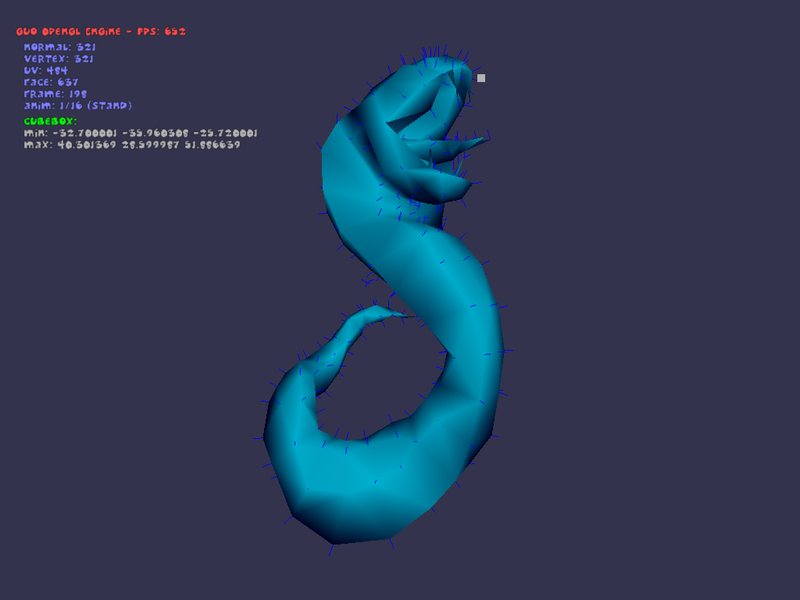 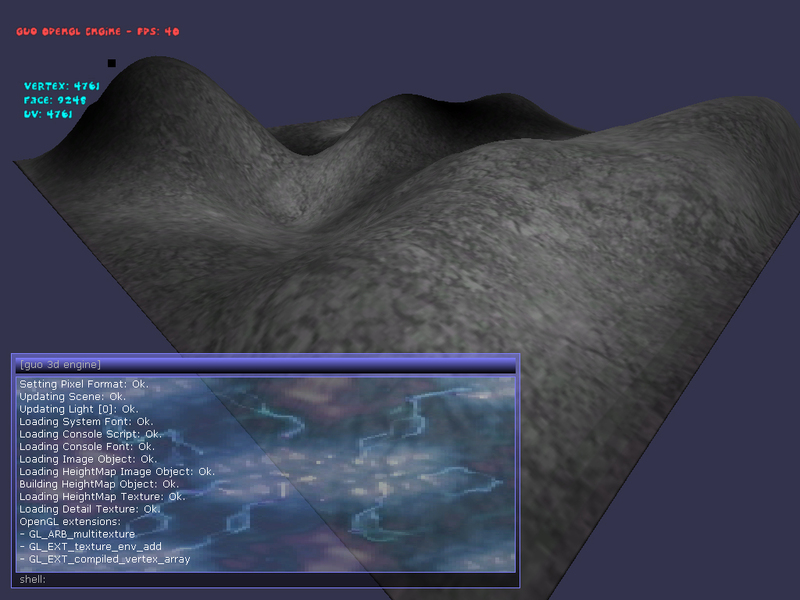 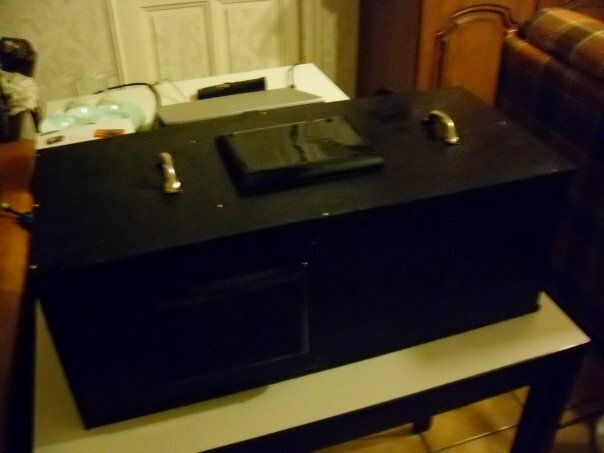 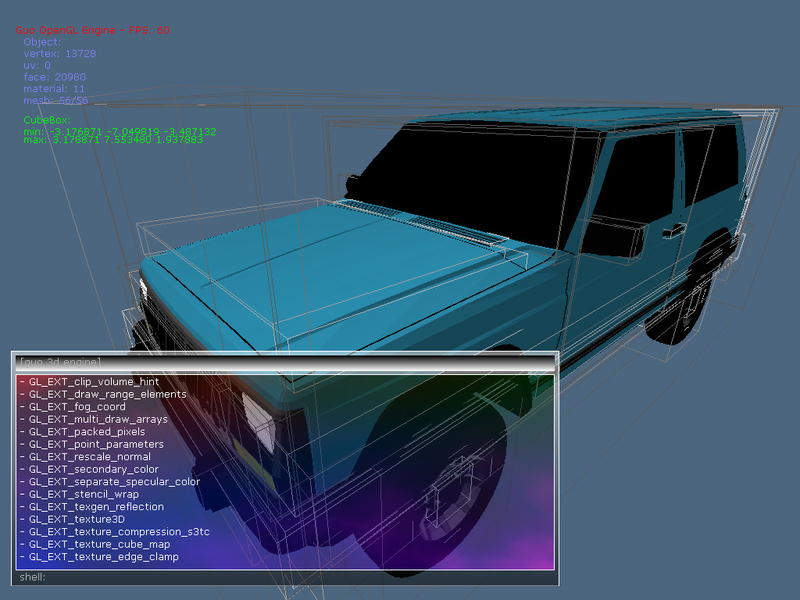 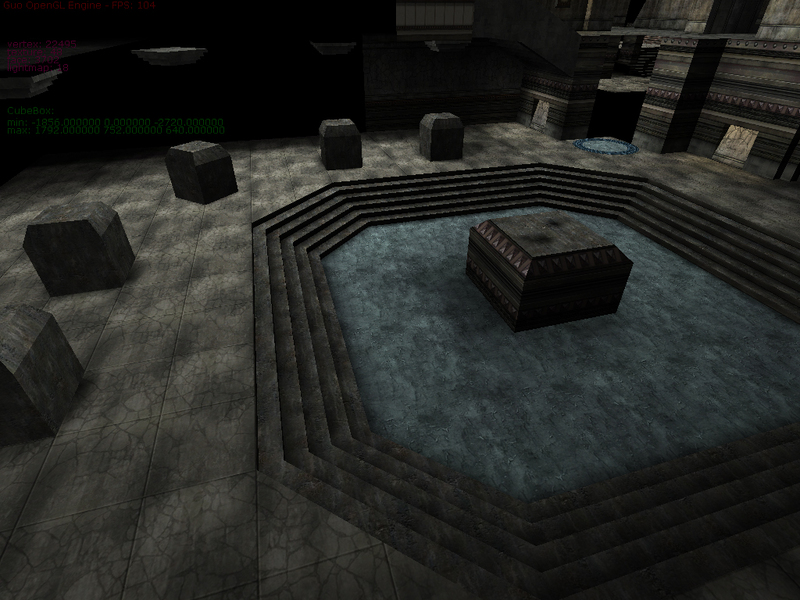 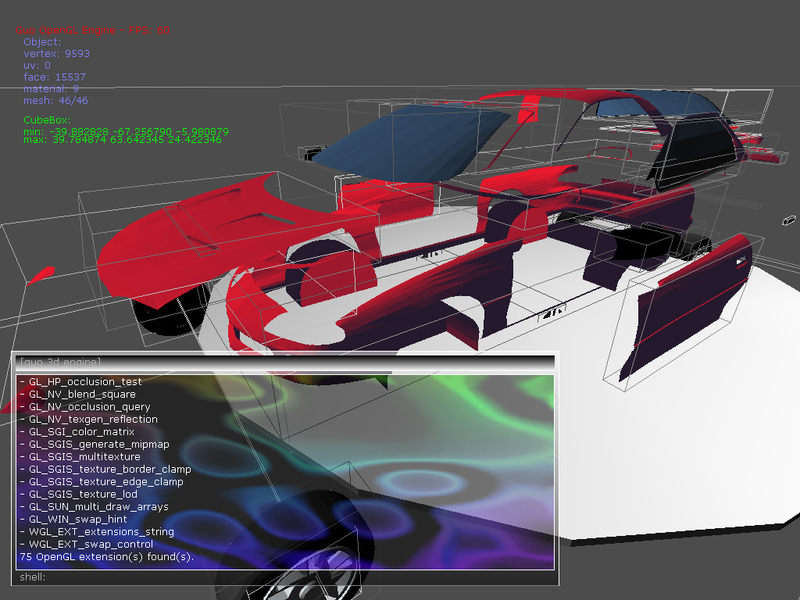 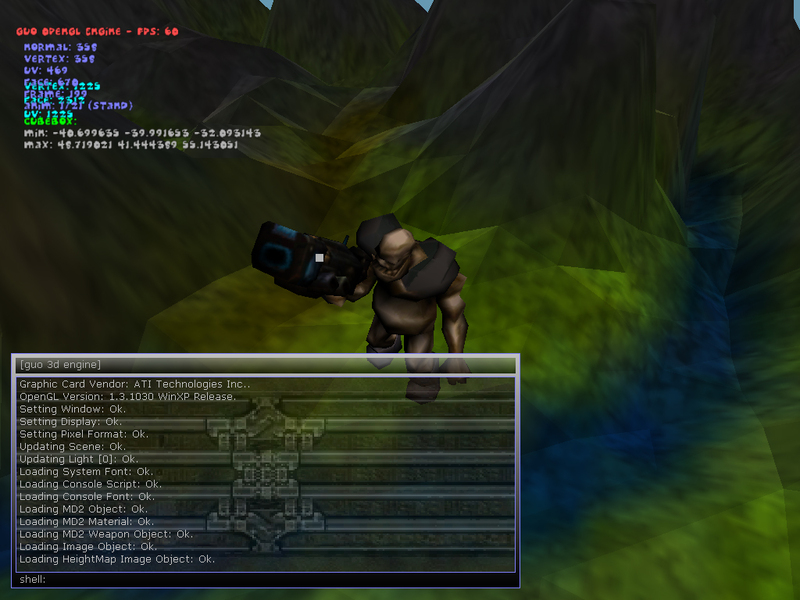 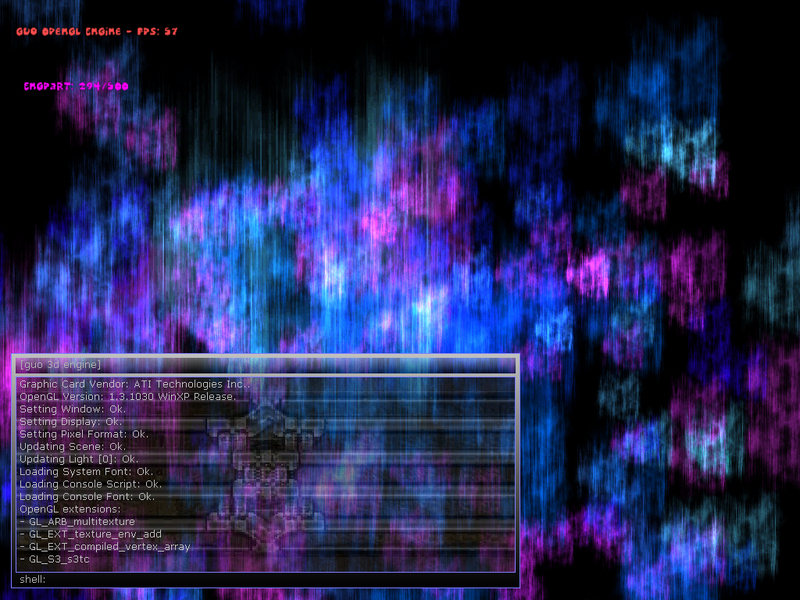 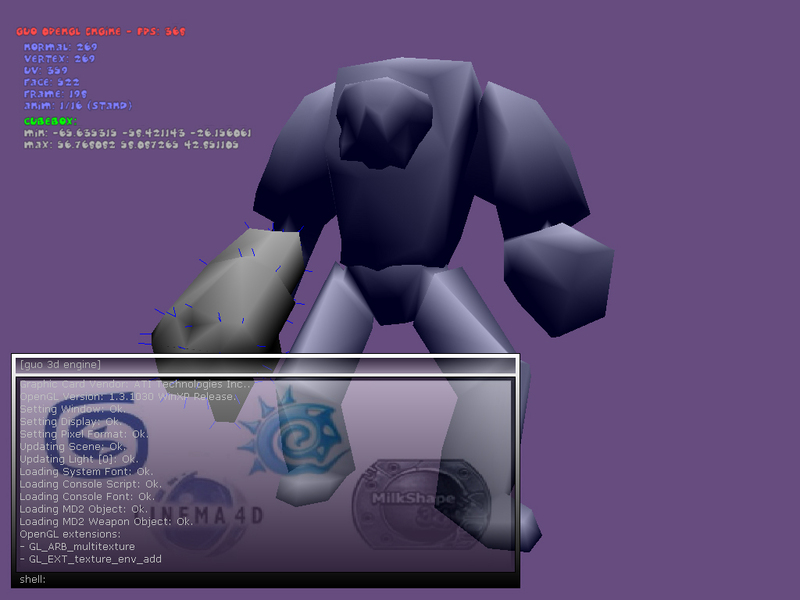 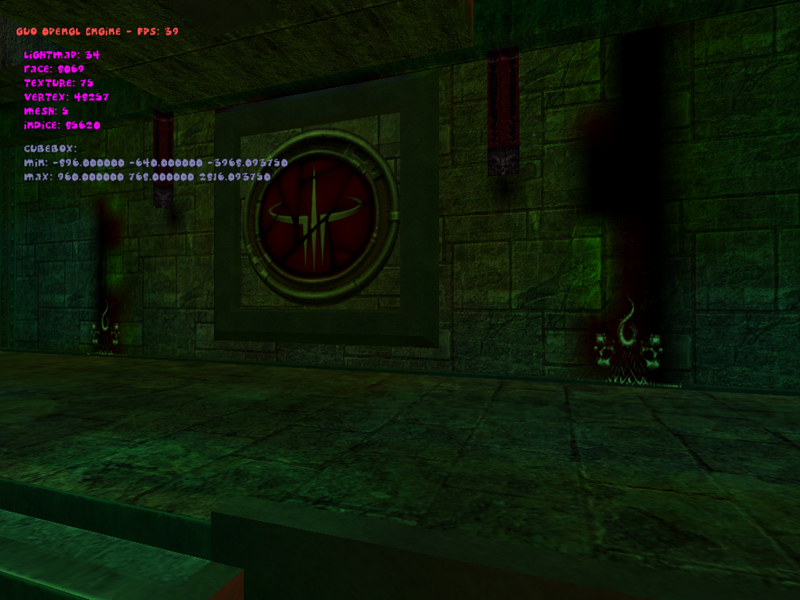 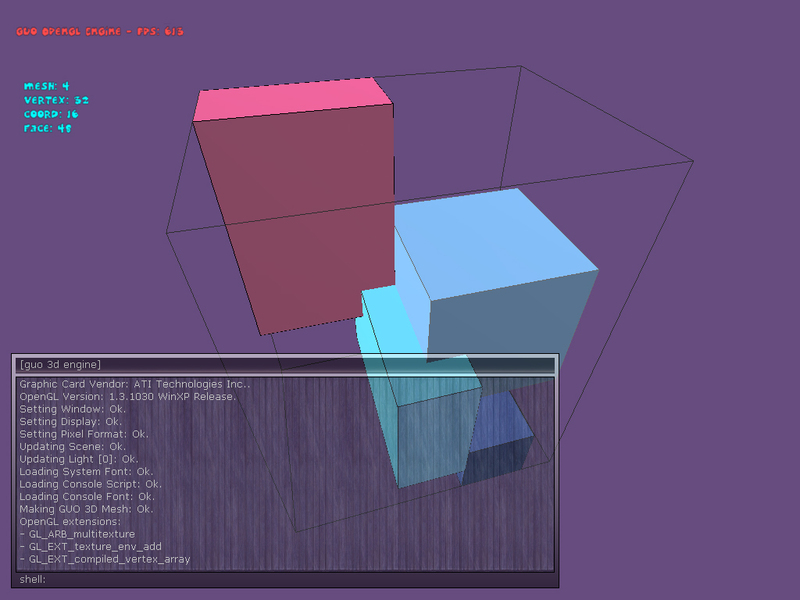 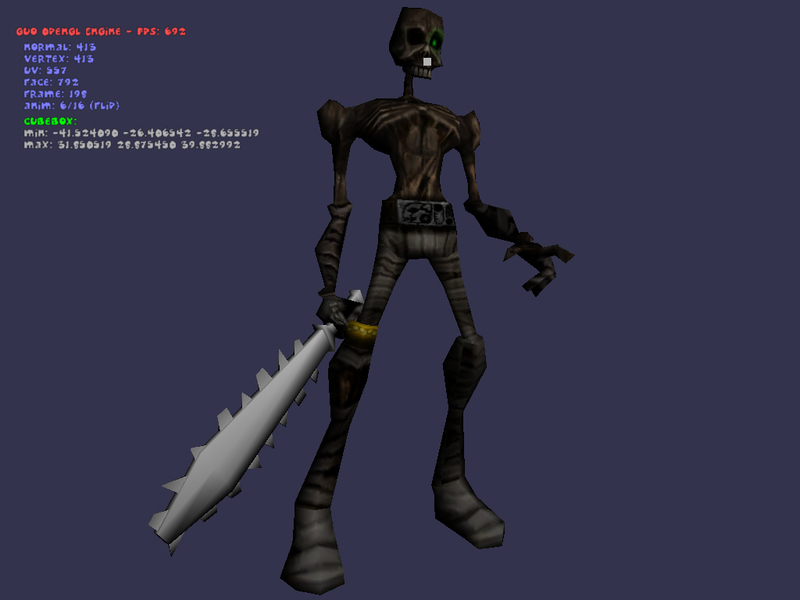 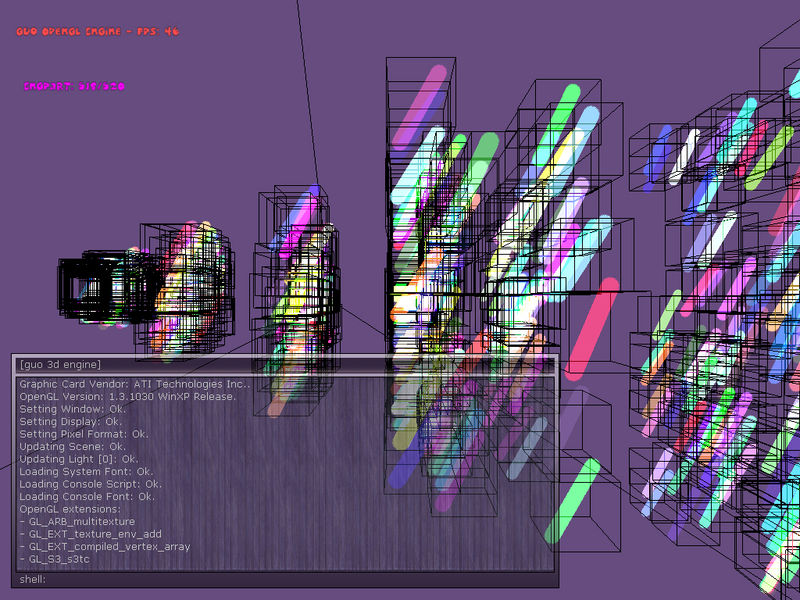 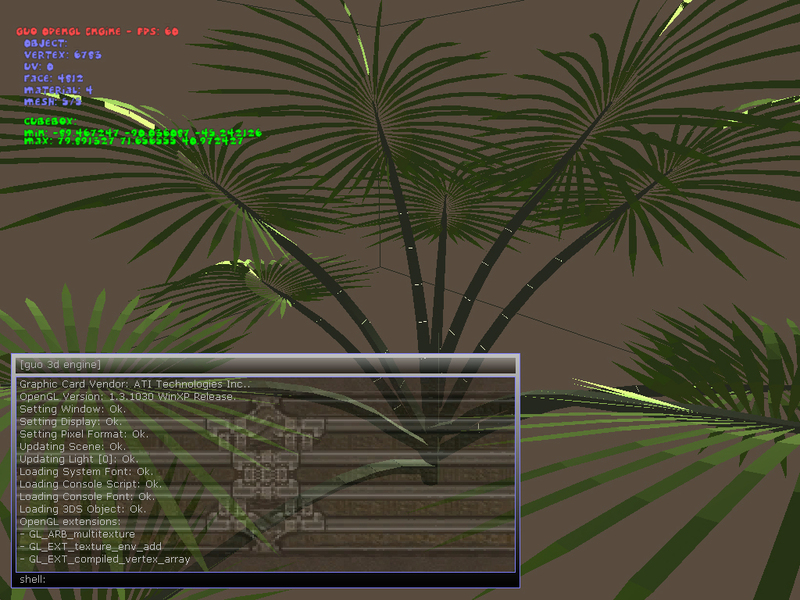 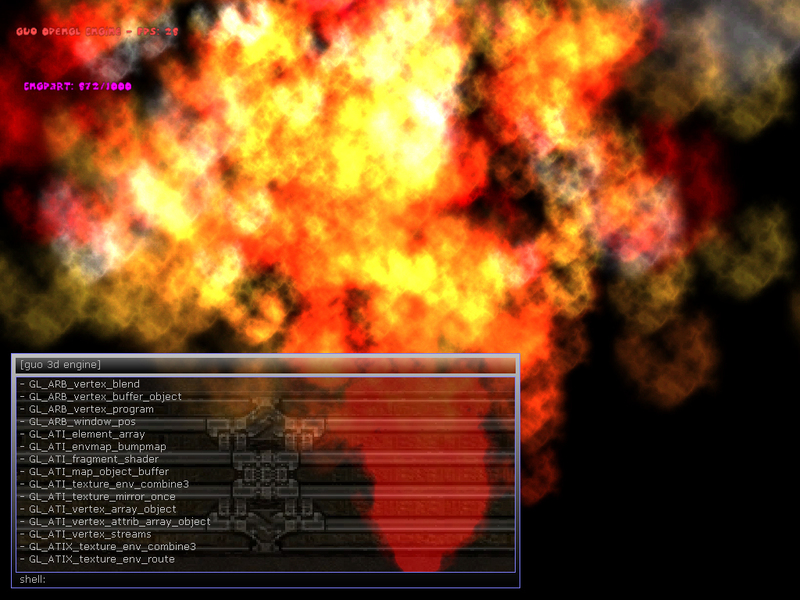 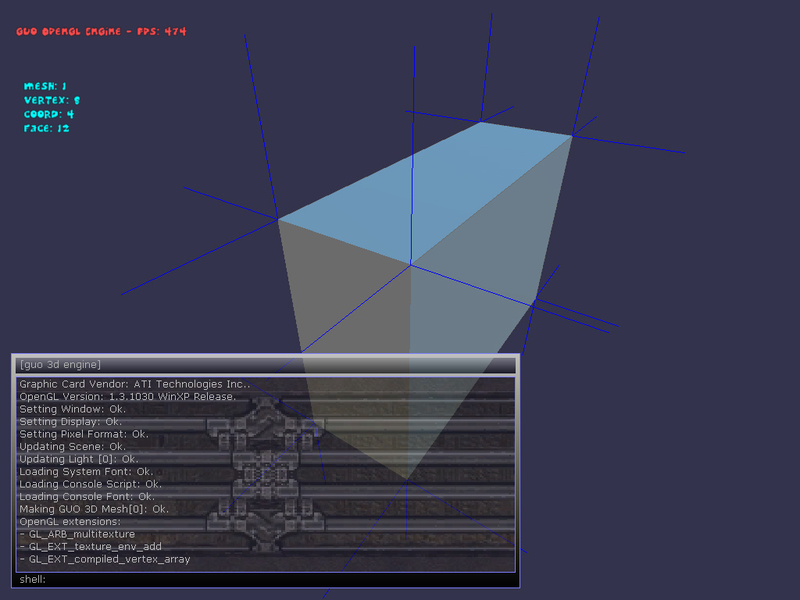 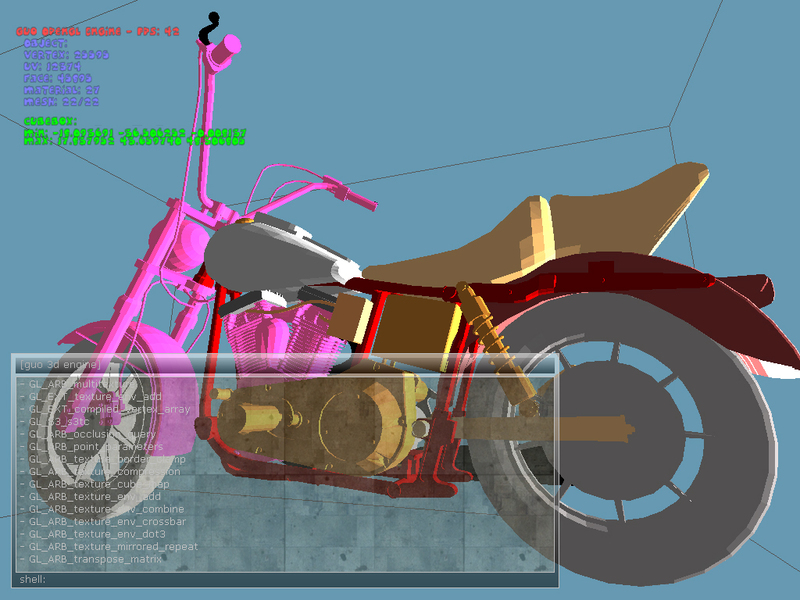 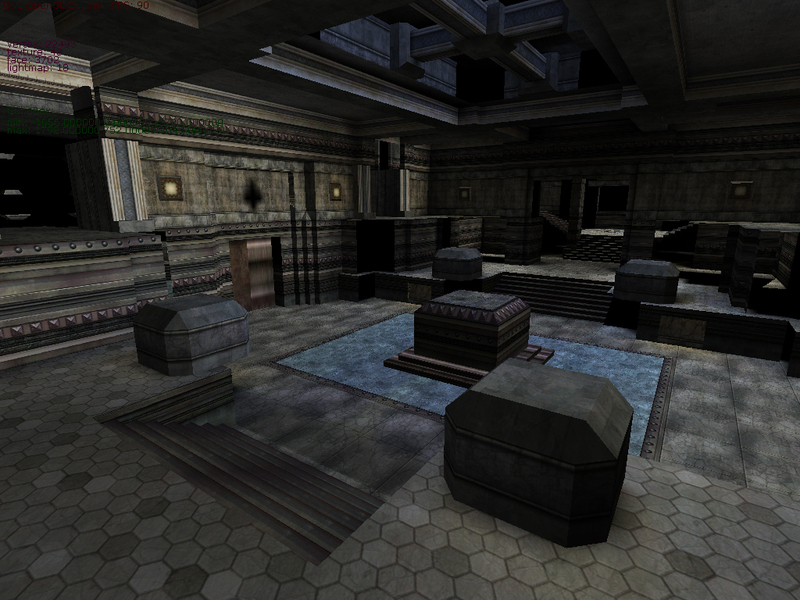 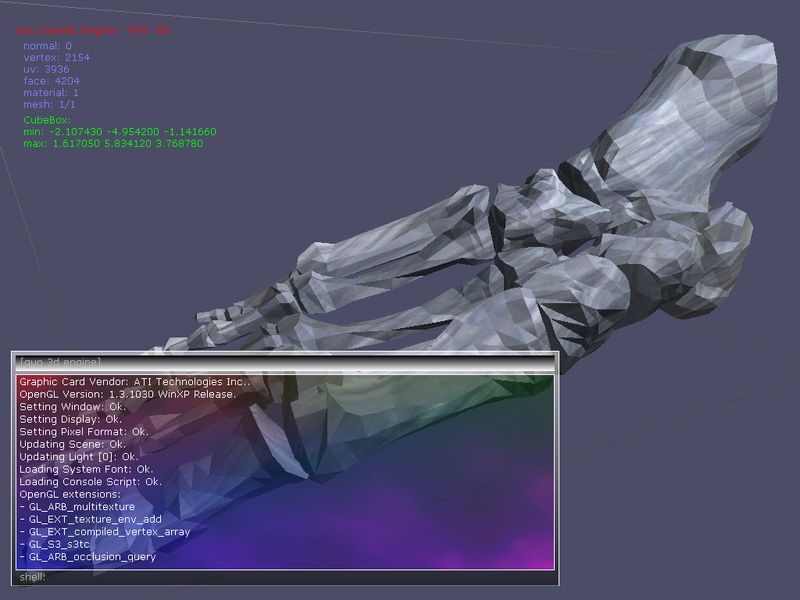 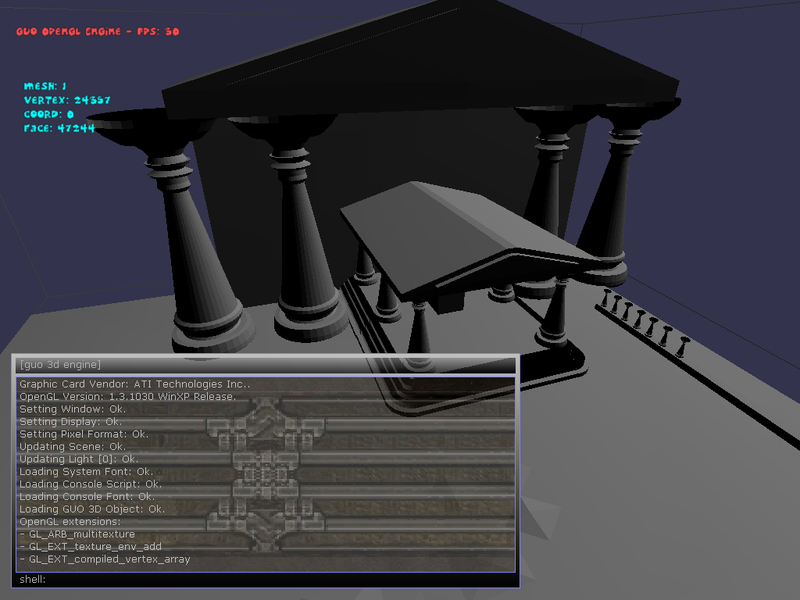 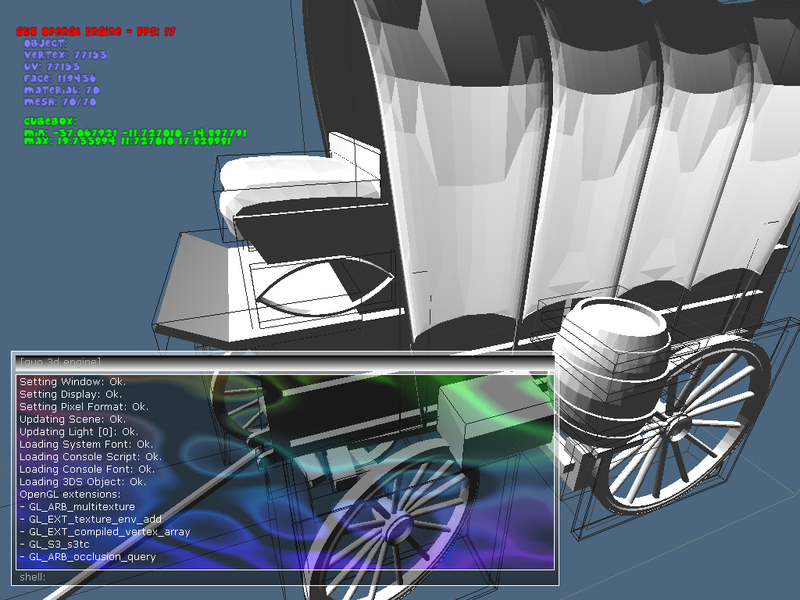 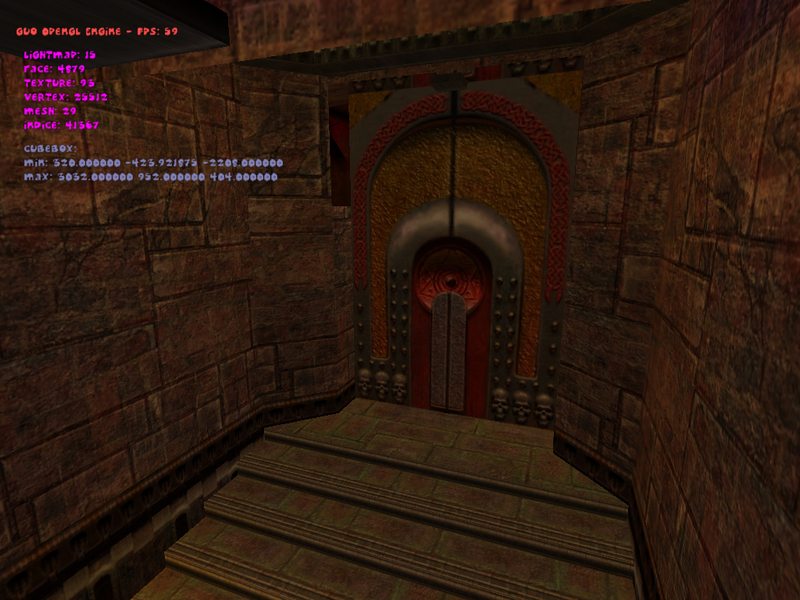 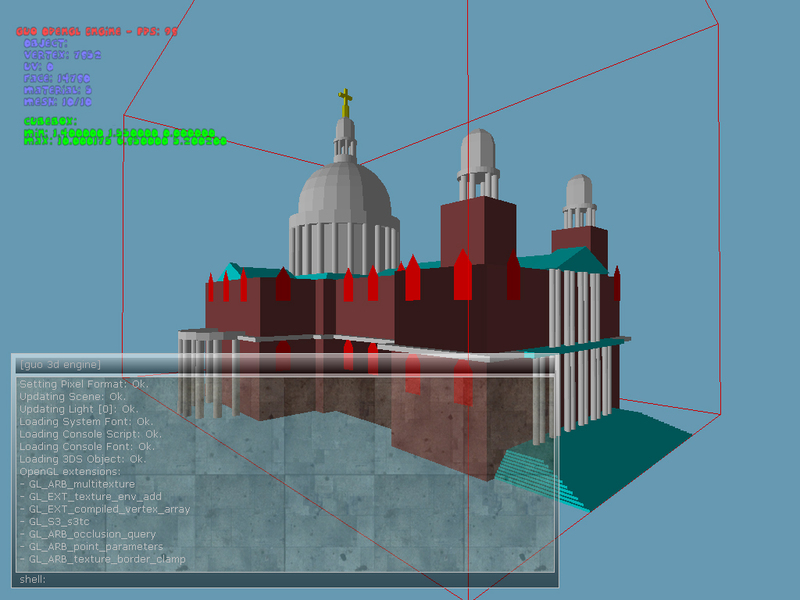 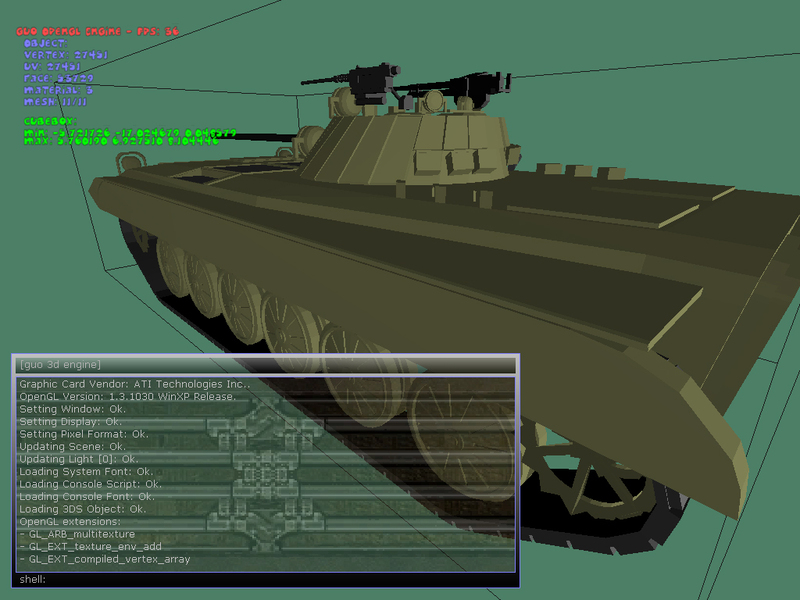 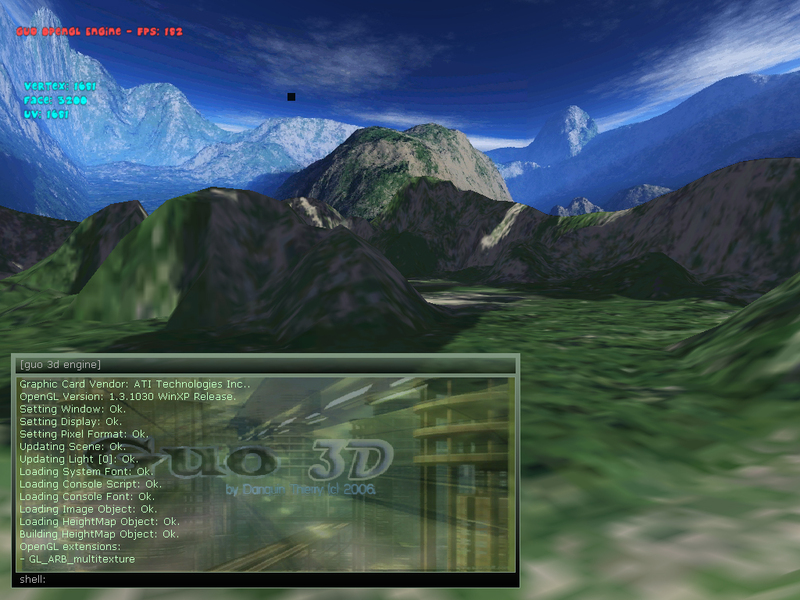 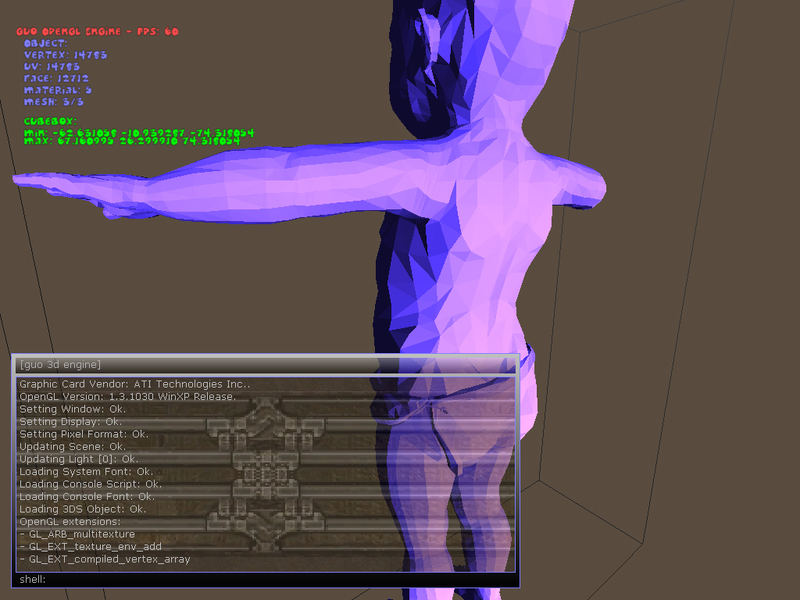 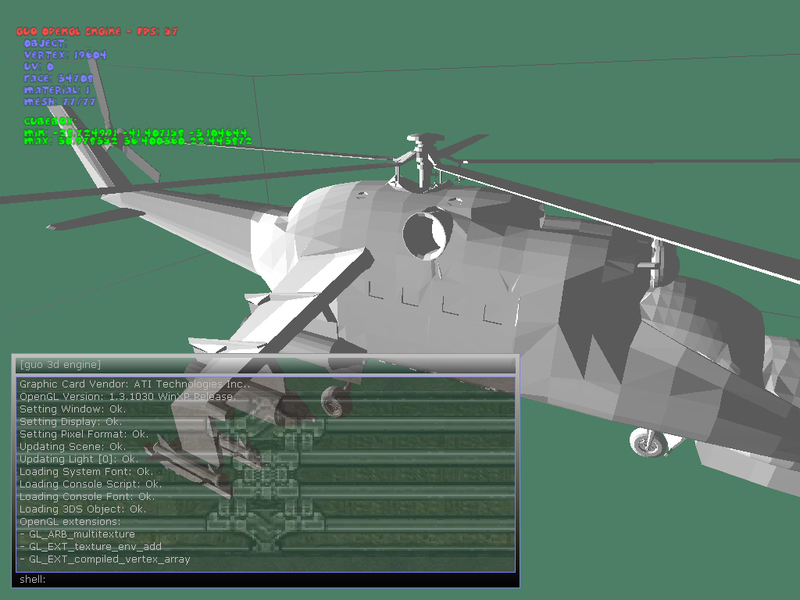 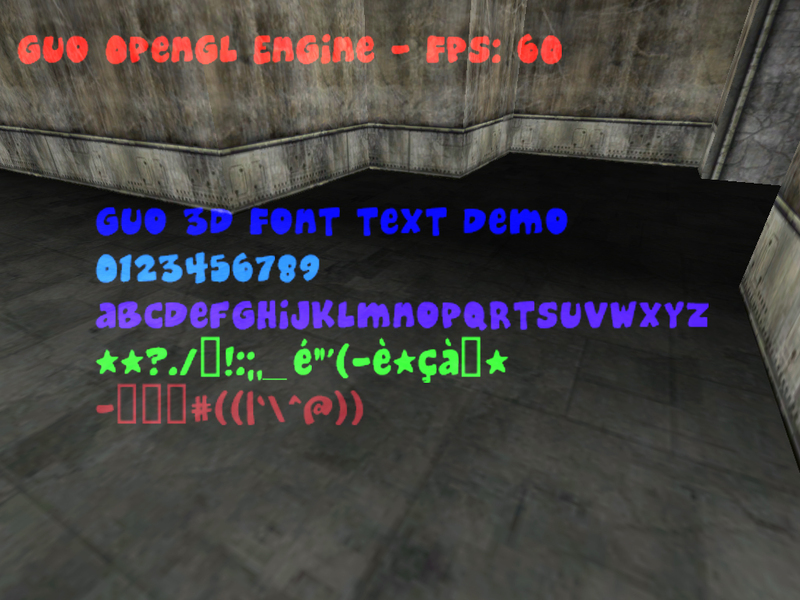 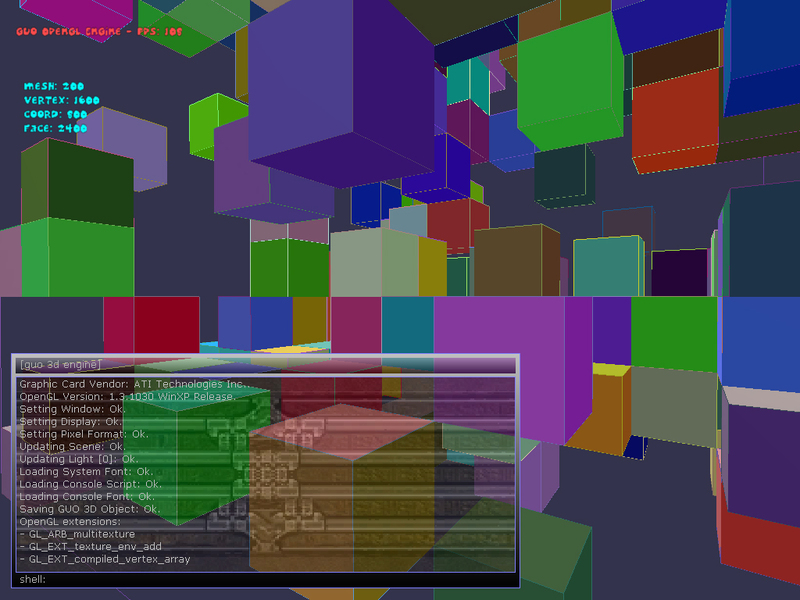 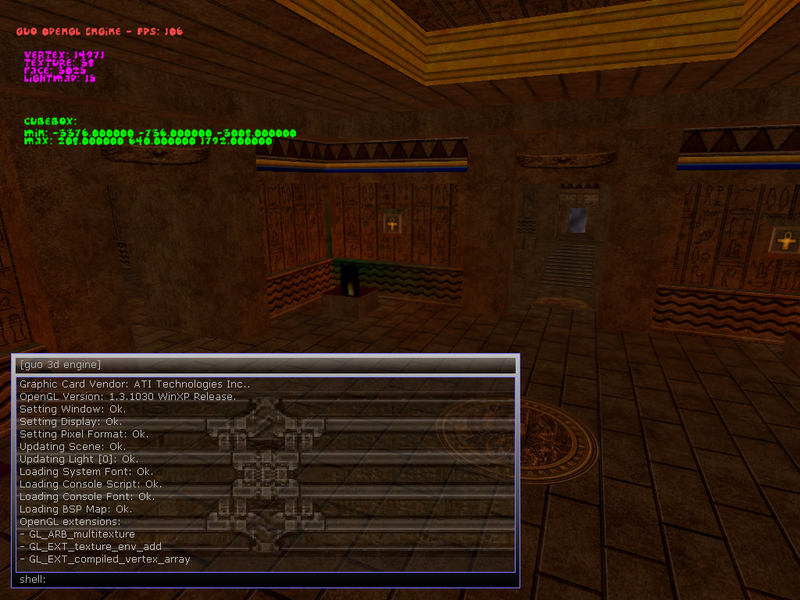 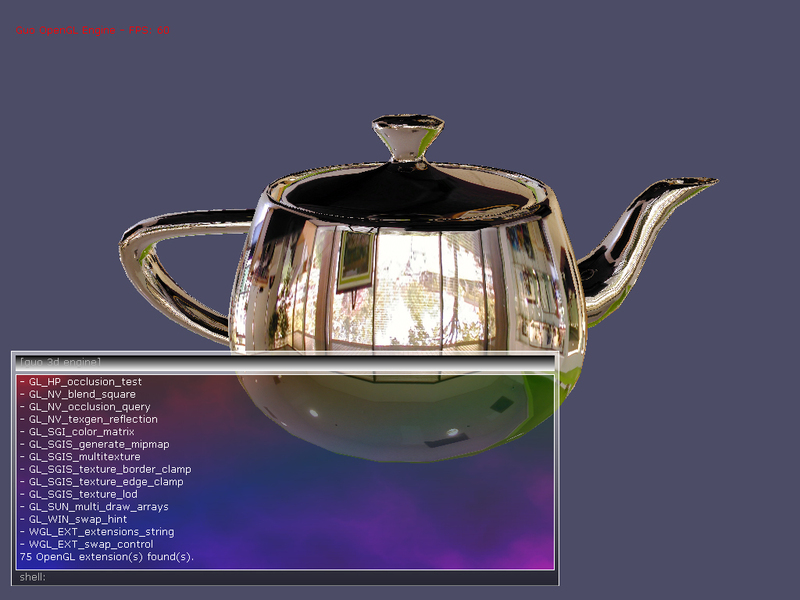 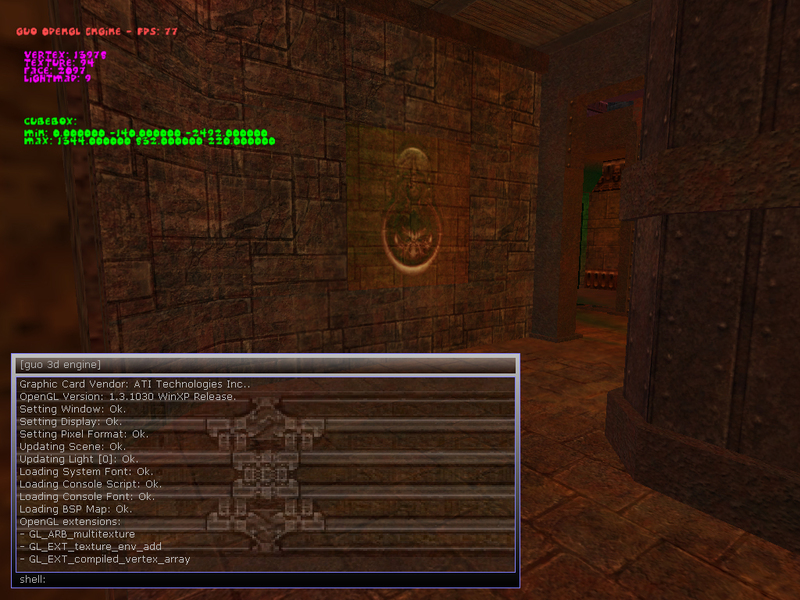 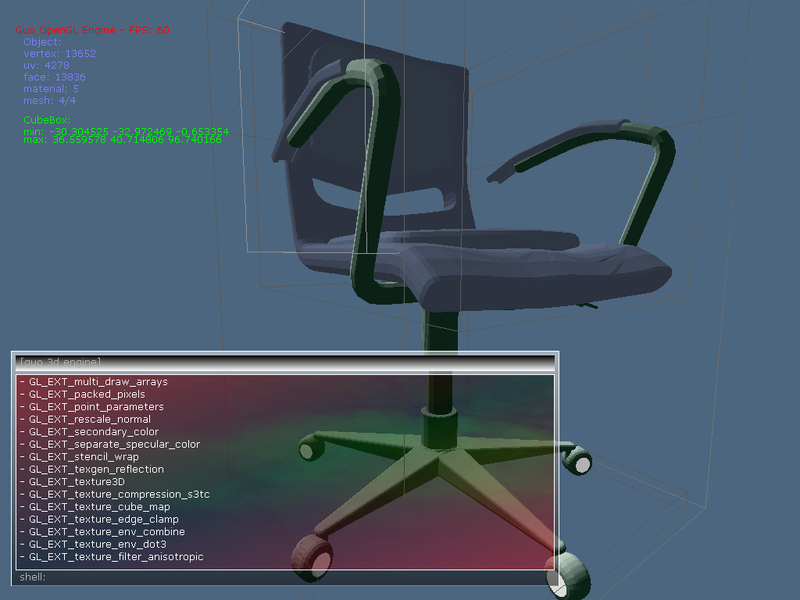 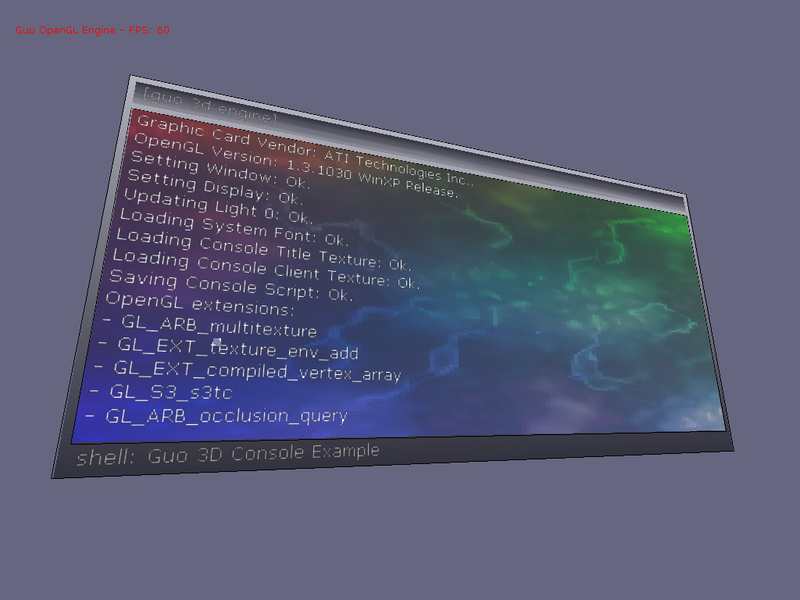 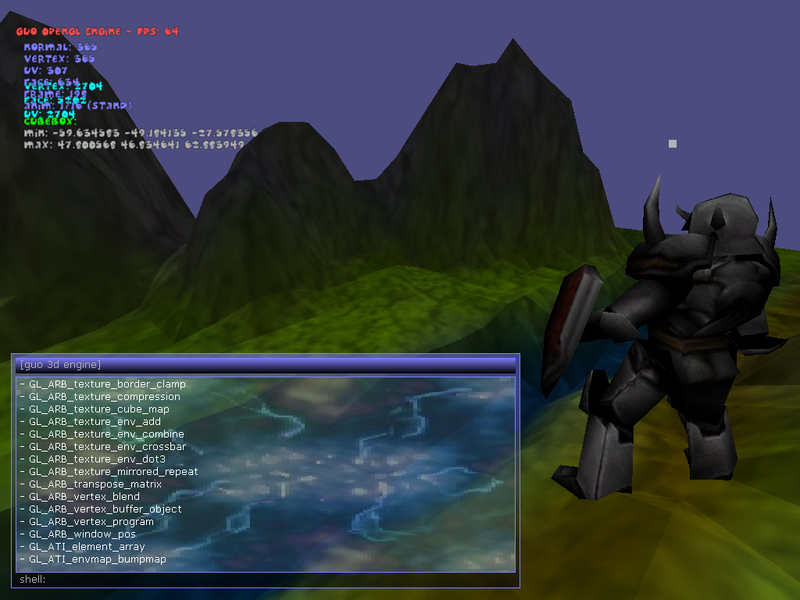 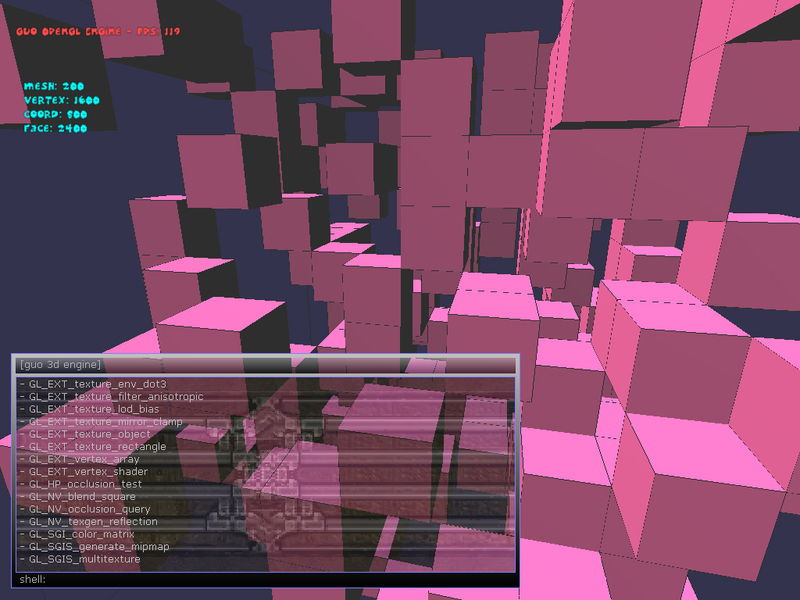 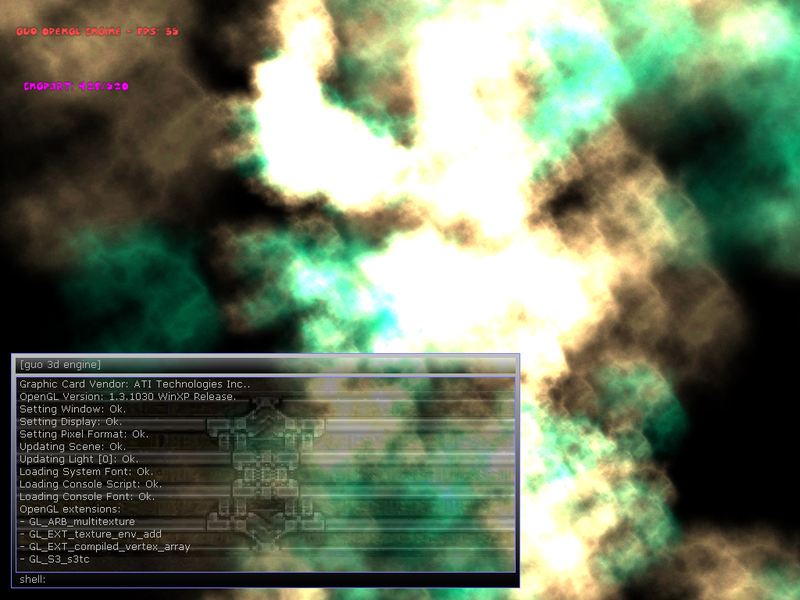 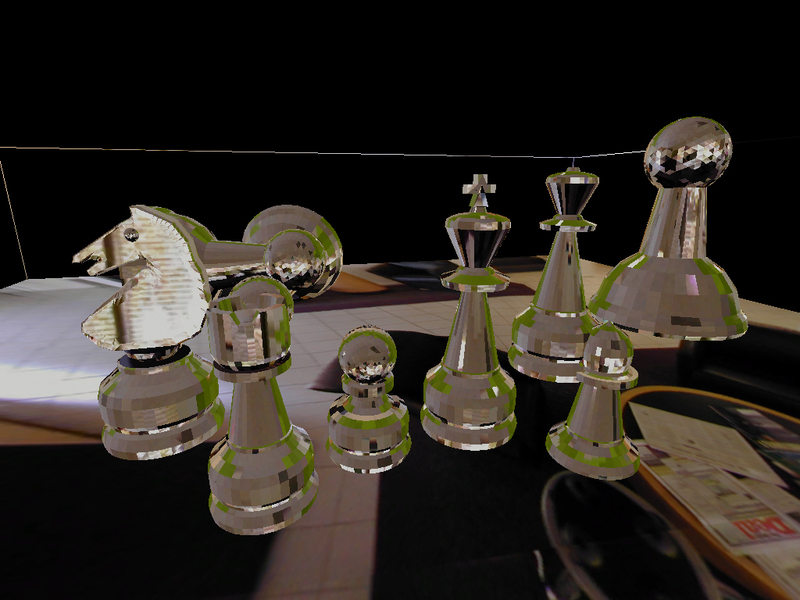 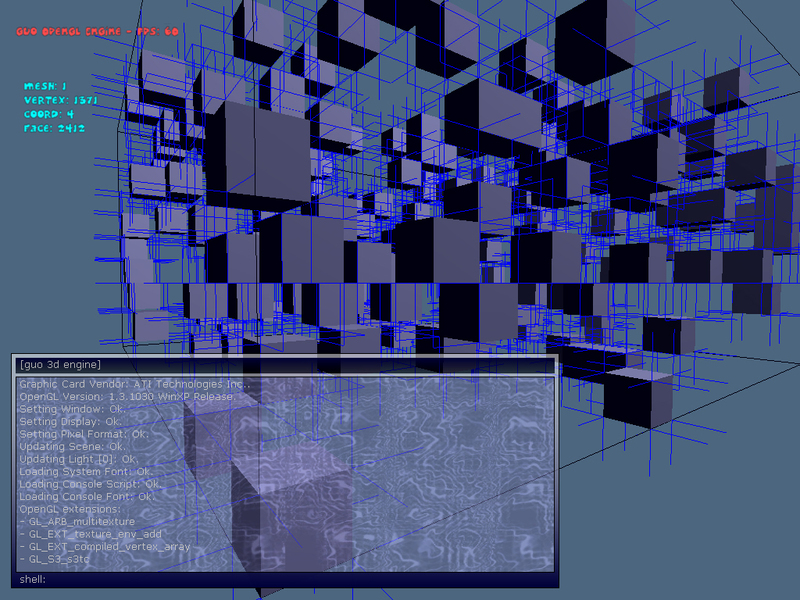 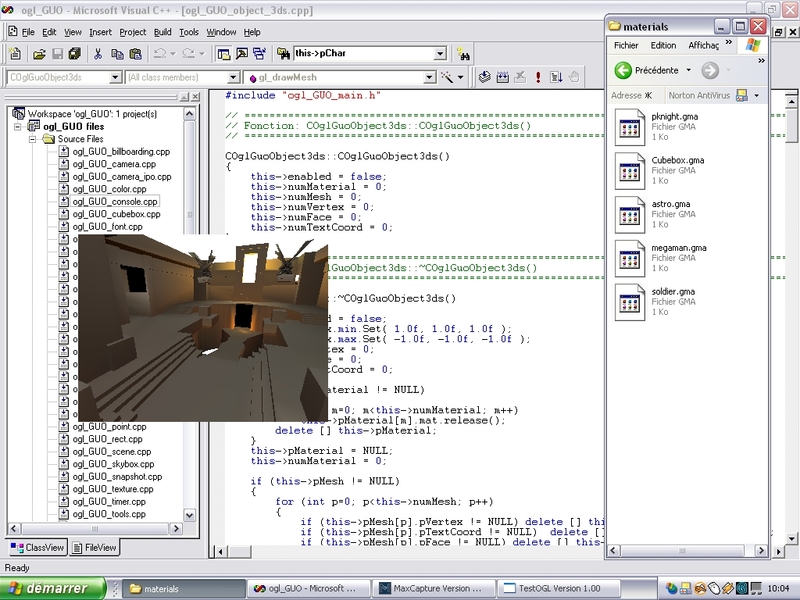 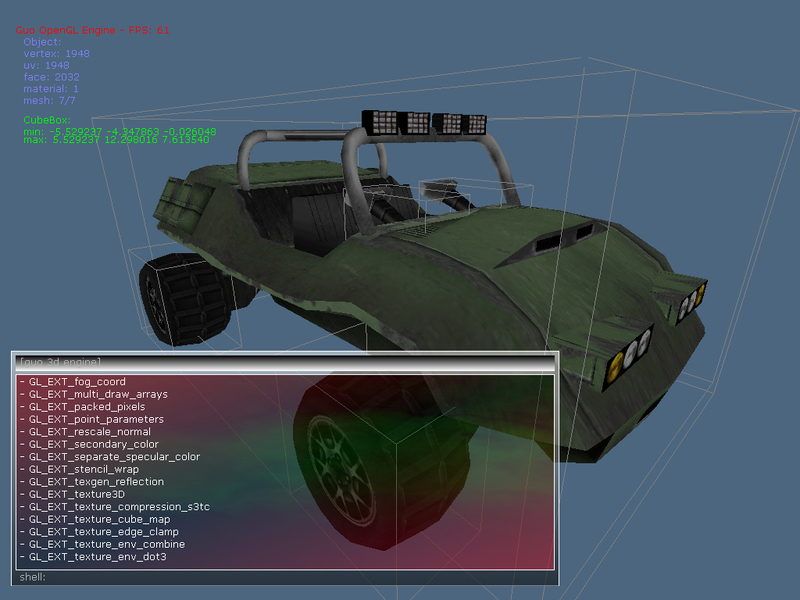 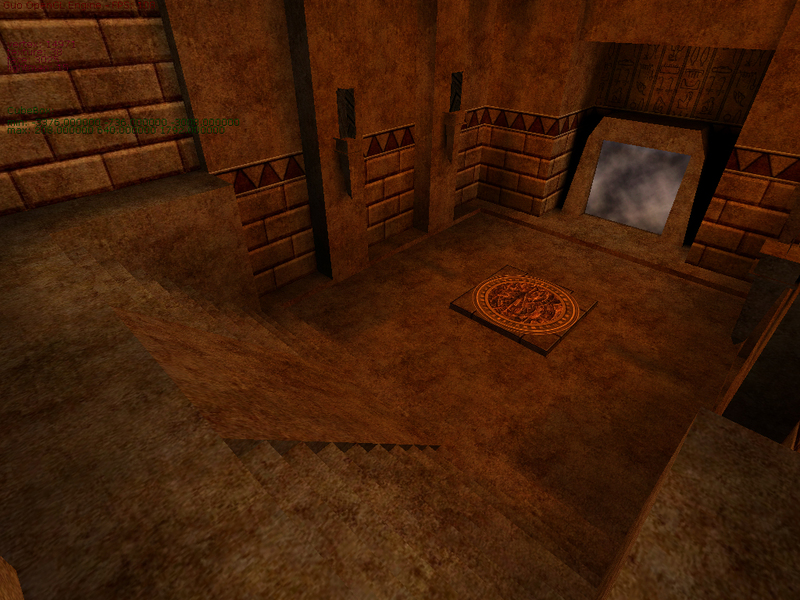 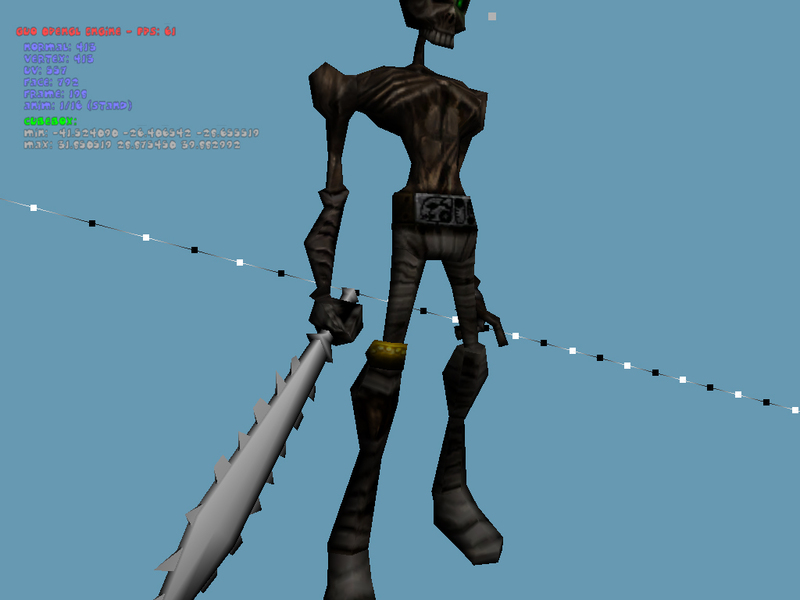 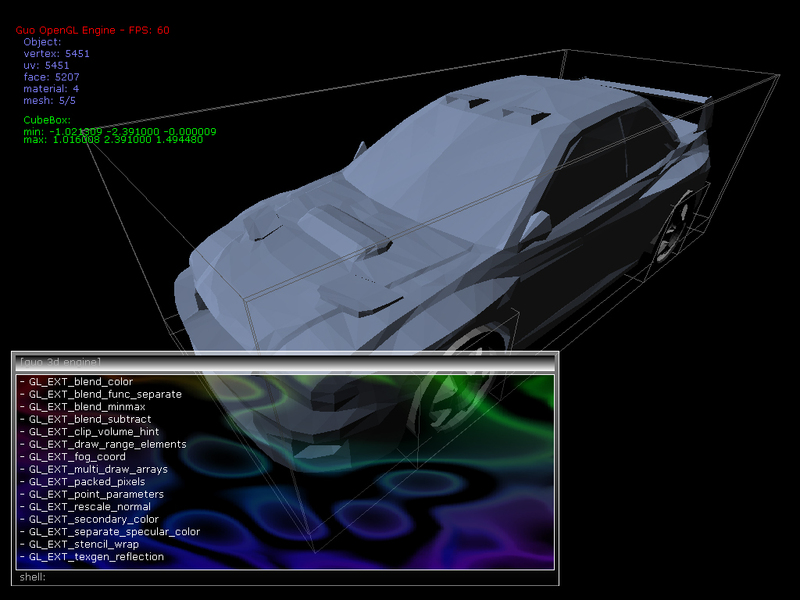 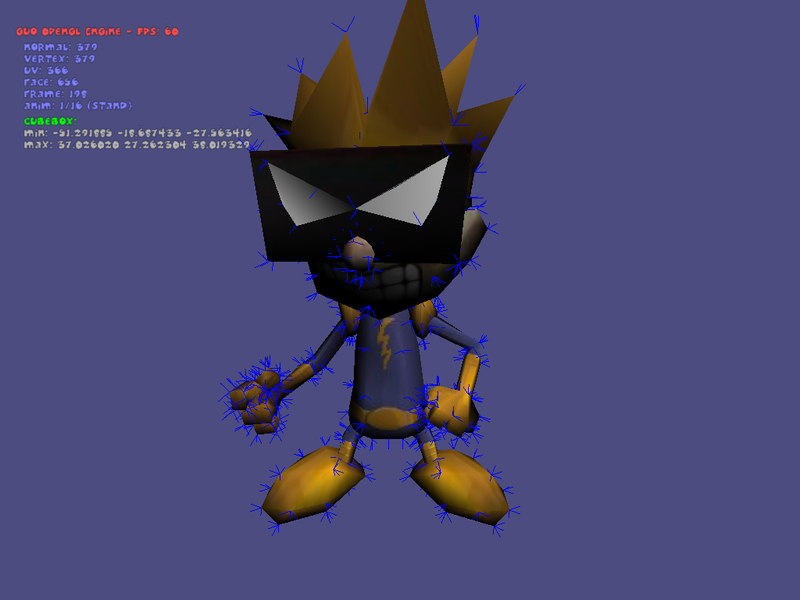 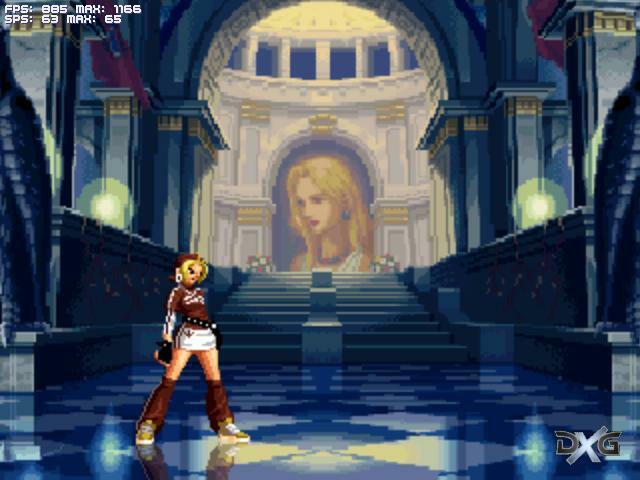 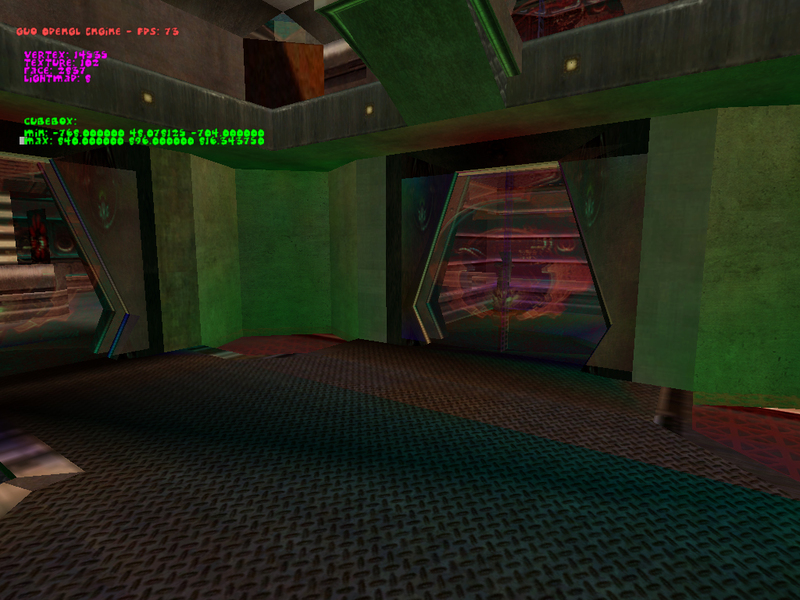 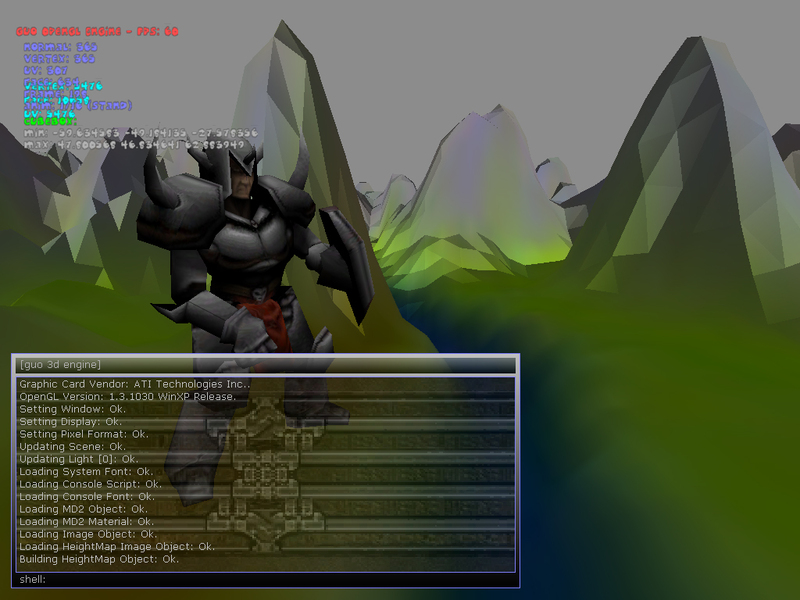 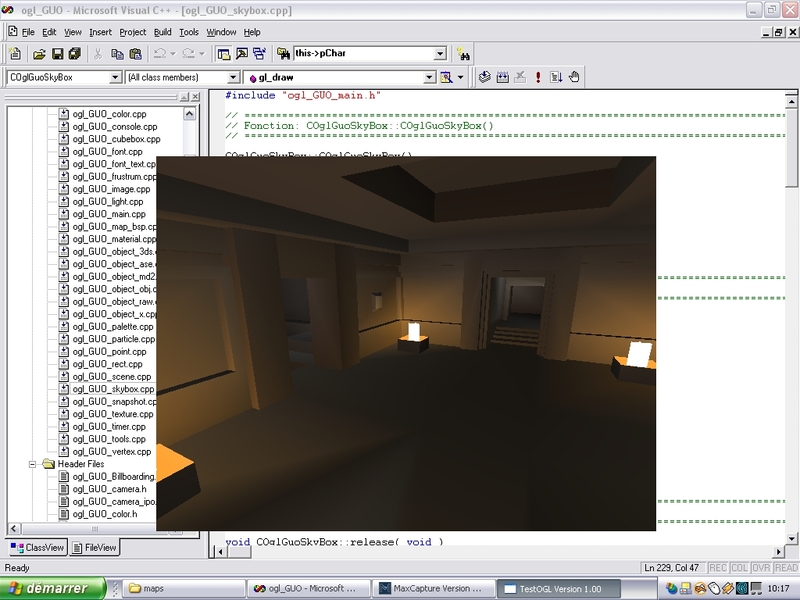 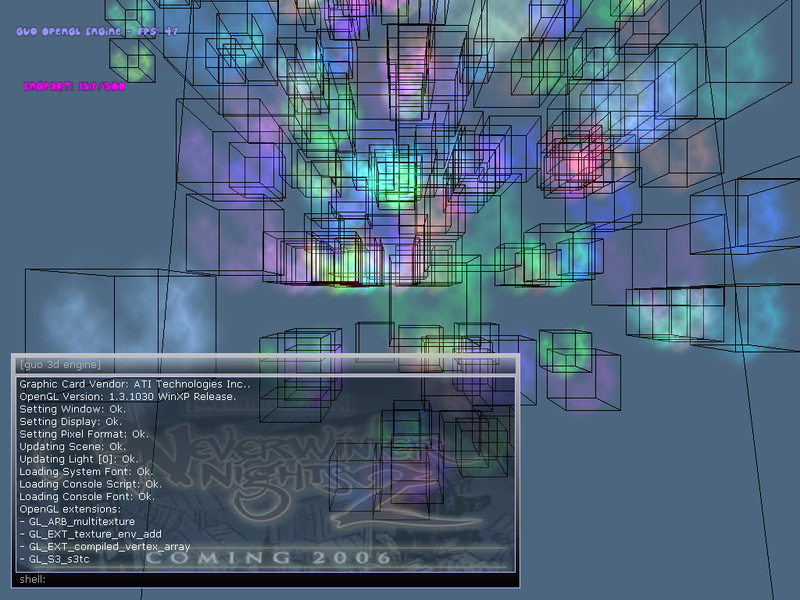 Guo is a project of OpenGL/DirectX 3D engine for the creation of project(s) who have to drawing an 3D environment. 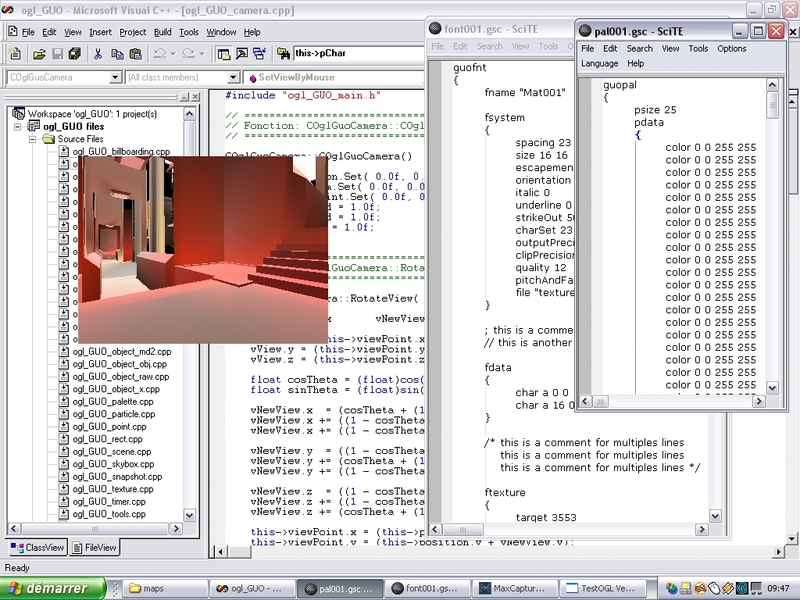 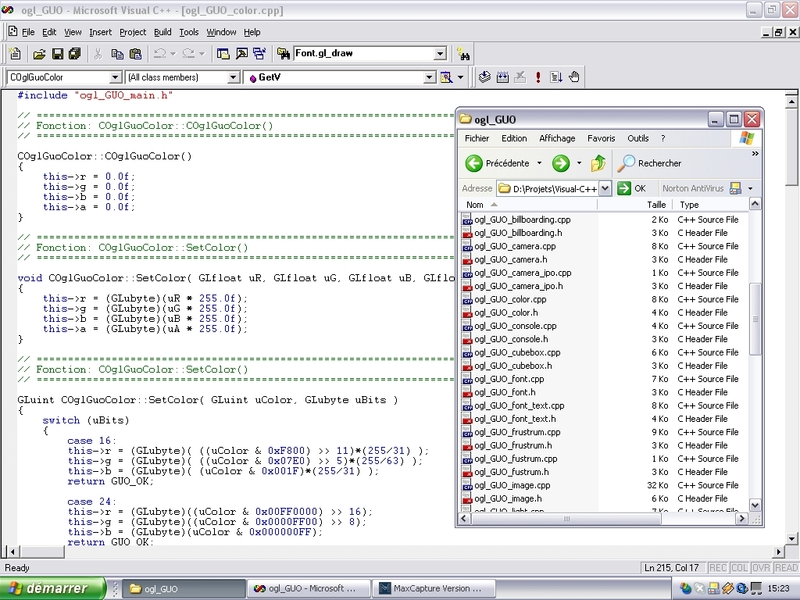 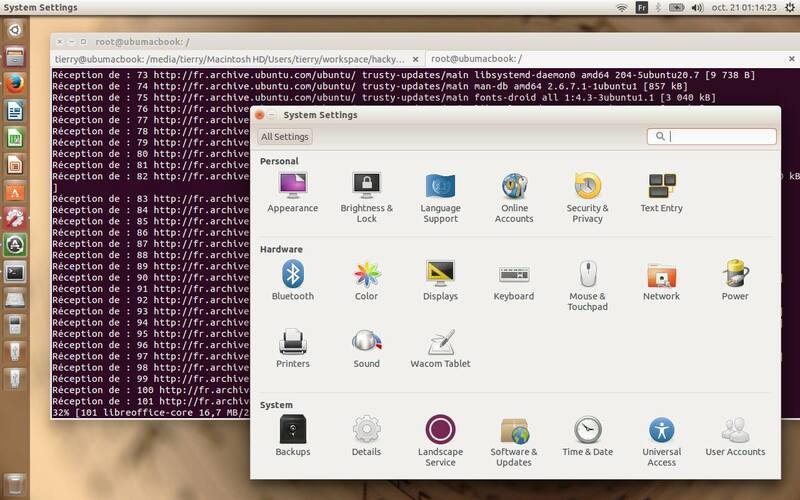 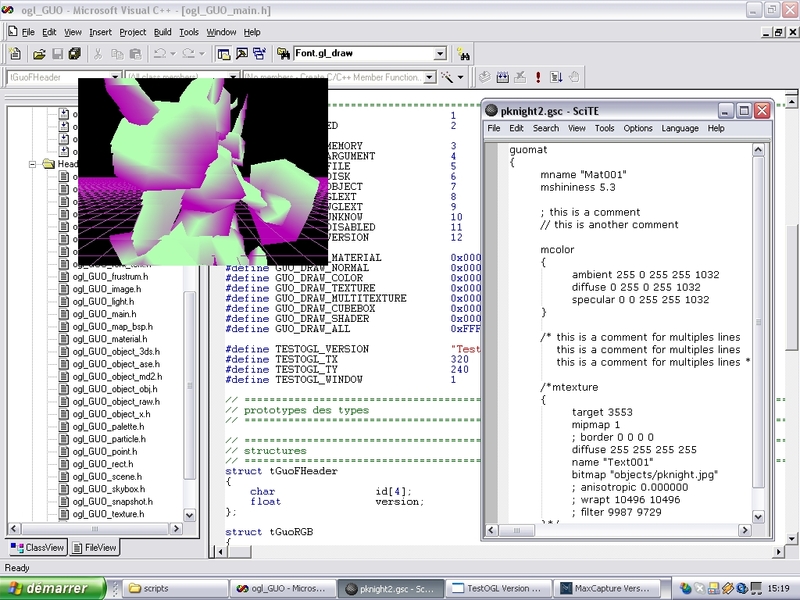 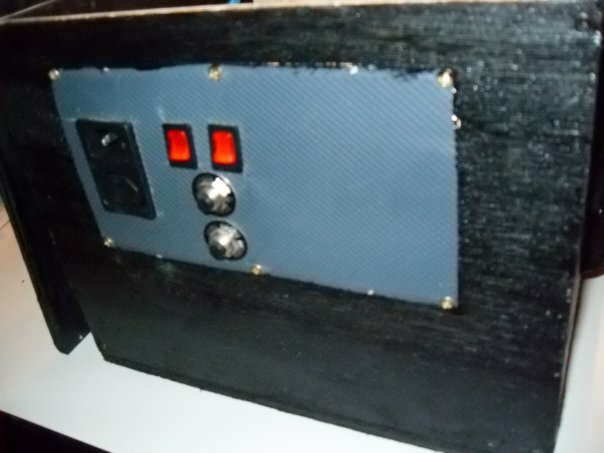 The environment of development is Microsoft Visual-C ++ under Windows and soon CodeBlocks on Linux:-). 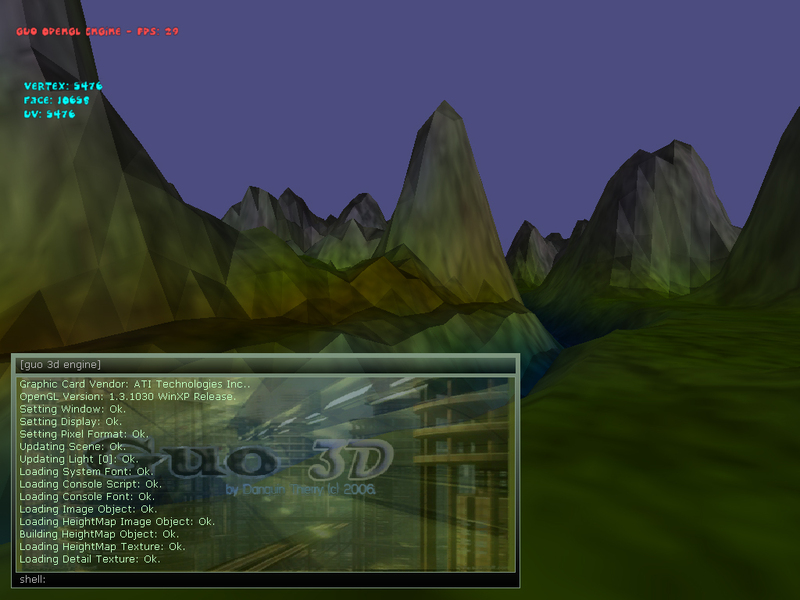 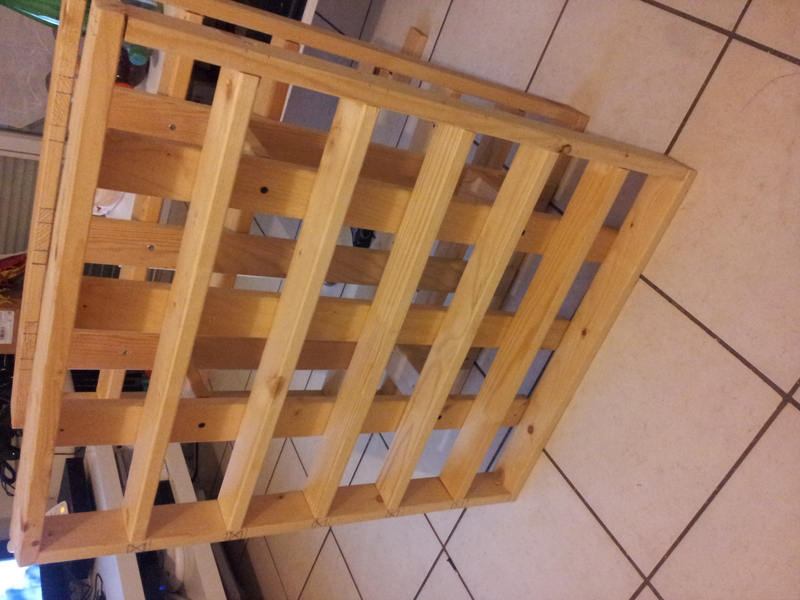 This bookshop will decline in 2 versions, the one for OpenGL 2.0 and the other one for DirectX 9.0c. 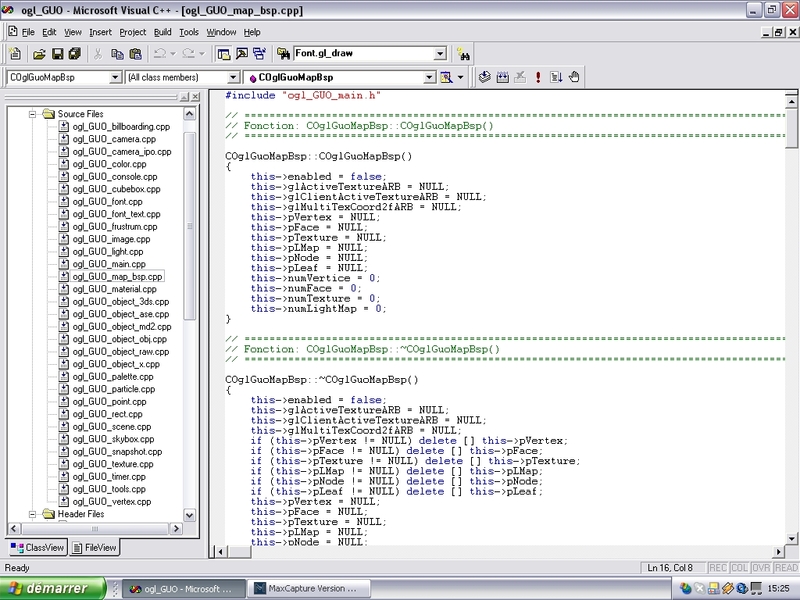 Directed object, this dll is programmed in C/C ++ for an ease of use. 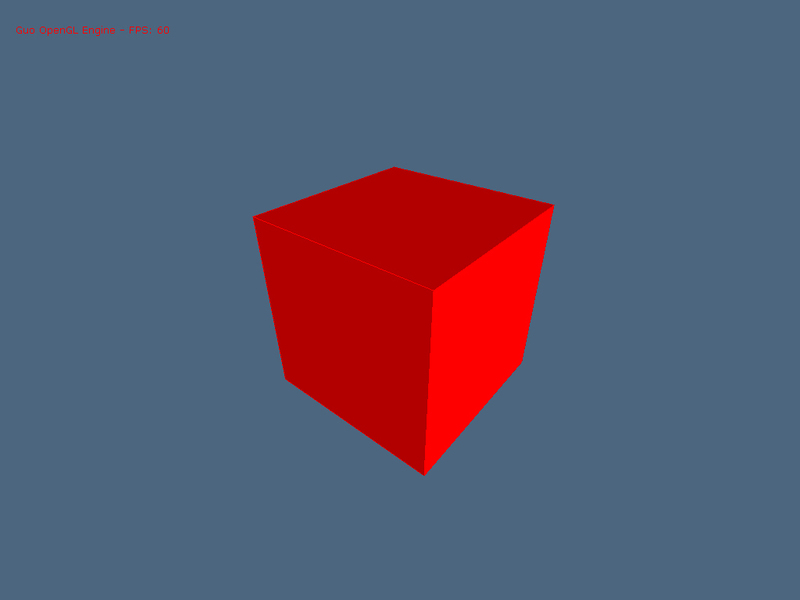 It possesses numerous useful classes (Vertices, Scene, Cubebox, Texture, Object) to exploit in best the possibilities of the 3D APIs.